Embarrassing stains on your roof? INSTACLEAN makes your roof look Brand New! Siding look old and dirty? INSTACLEAN will make it sparkle! 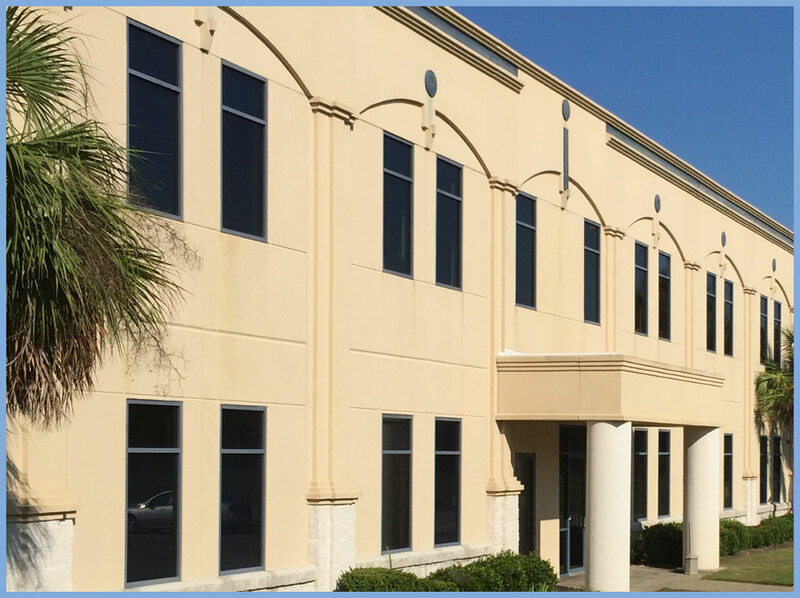 InstaClean offers a variety of exterior cleaning services to meet all your needs. Our specialty is our softwash system. 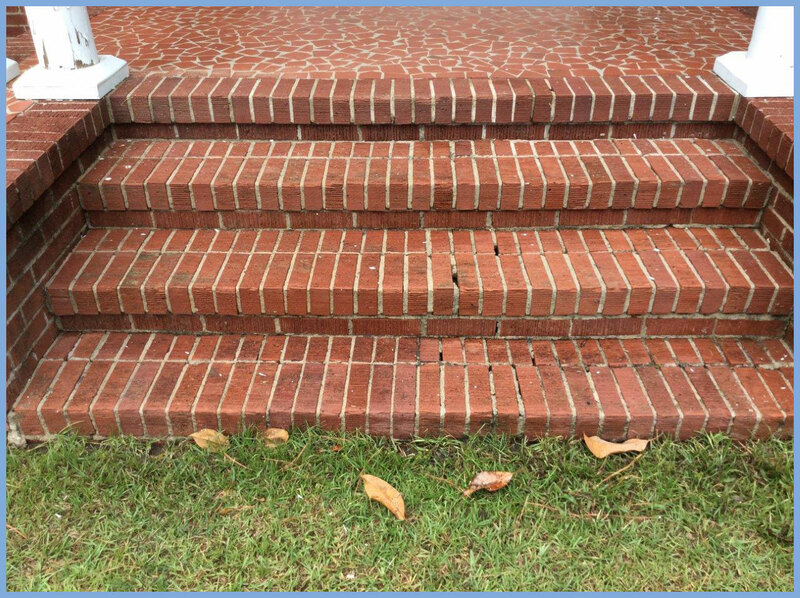 Let us show you how our low pressure cleaning solutions can add value and beauty to your home, without the damaging effects of pressure washers. Did you know that the black stuff on your roof is algae? Also, algae loves the humid South Carolina weather and it eats your roof away. The only thing worse than not cleaning your roof is letting someone clean it with a pressure washer. 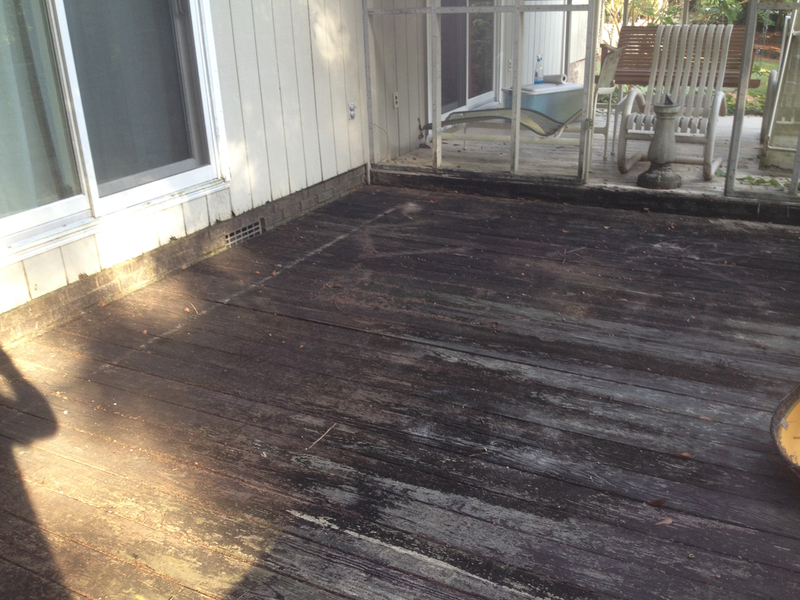 Pressure washers will vastly diminish the life of your roof! 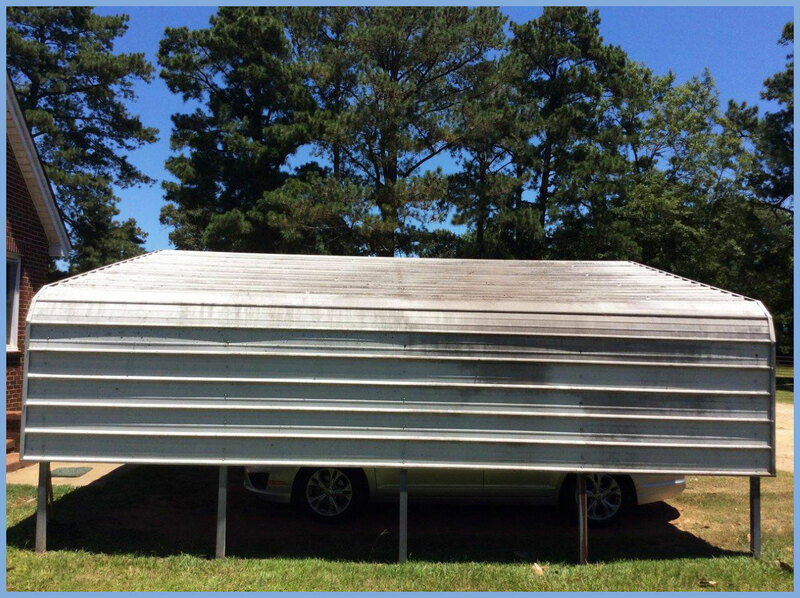 InstaClean uses a NO PRESSURE softwash system to clean your roof almost instantly. Your home will look years younger immediately. Driveways and walkways looking dingy? No problem. Let us put our personal touch on your concrete and brick. You'll be surprised at the difference! Want to make a huge difference in the look of your home? 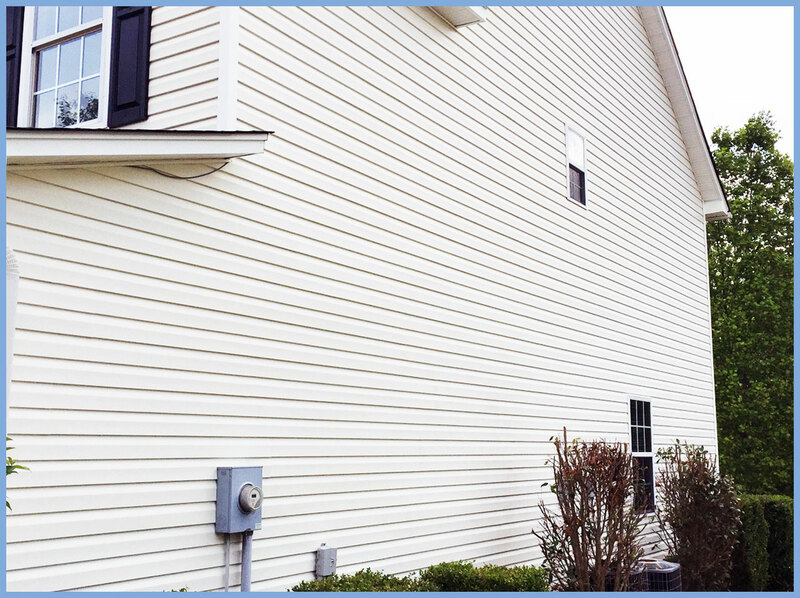 Our high-quality detergents will make your exterior siding shine like new. Not many building materials clean up as well as siding. 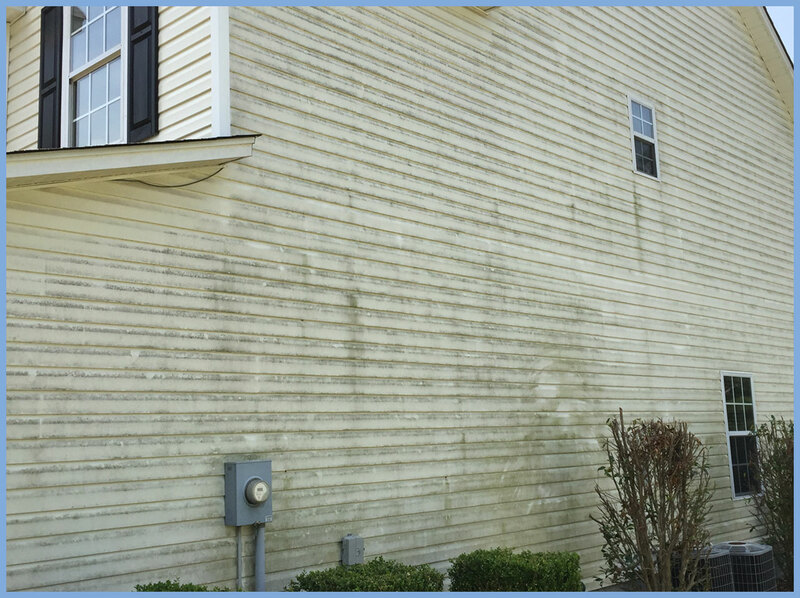 InstaClean will safely and effectively give your siding the makeover it deserves. 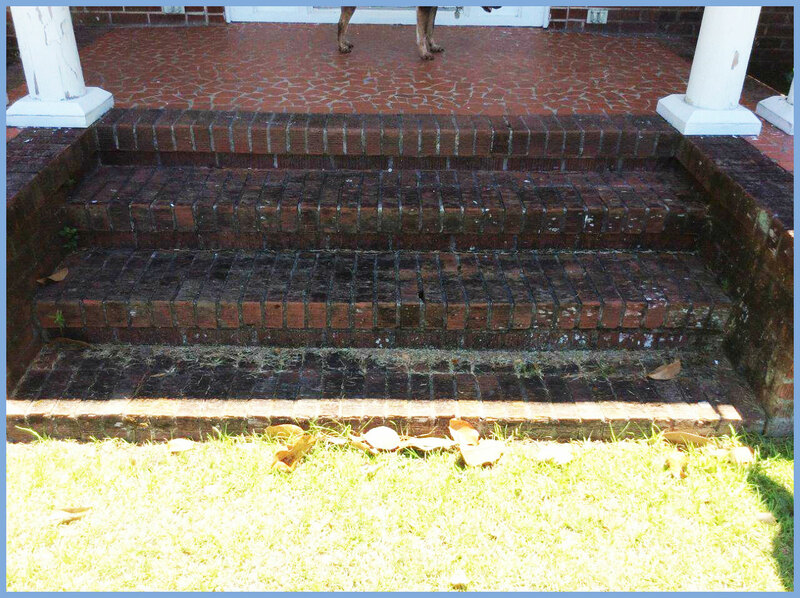 Keep that pressure washer away from your most valuable asset and let us make your home sparkle. Your neighbors will be jealous! Have some specific areas around your home that need some attention? 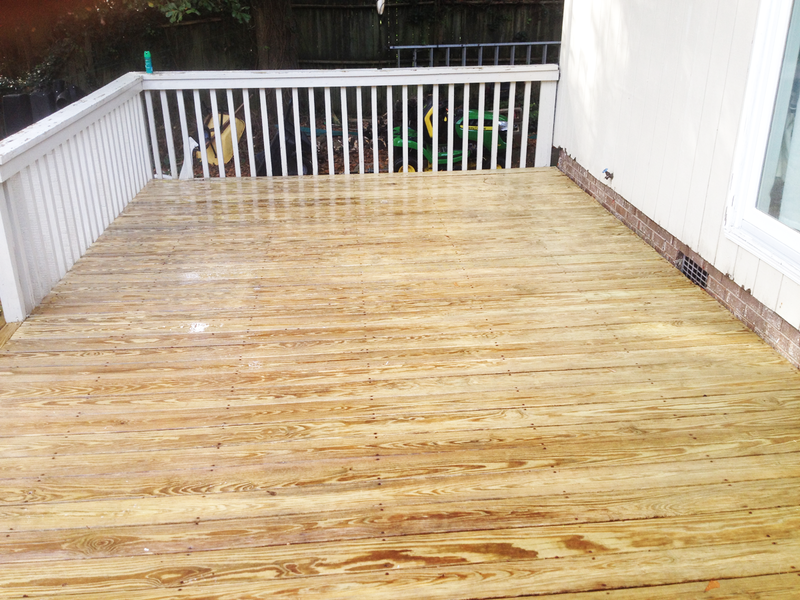 InstaClean can combine multiple cleaning methods to make your fences, porches, decks, and other specialty areas feel fresh and new. 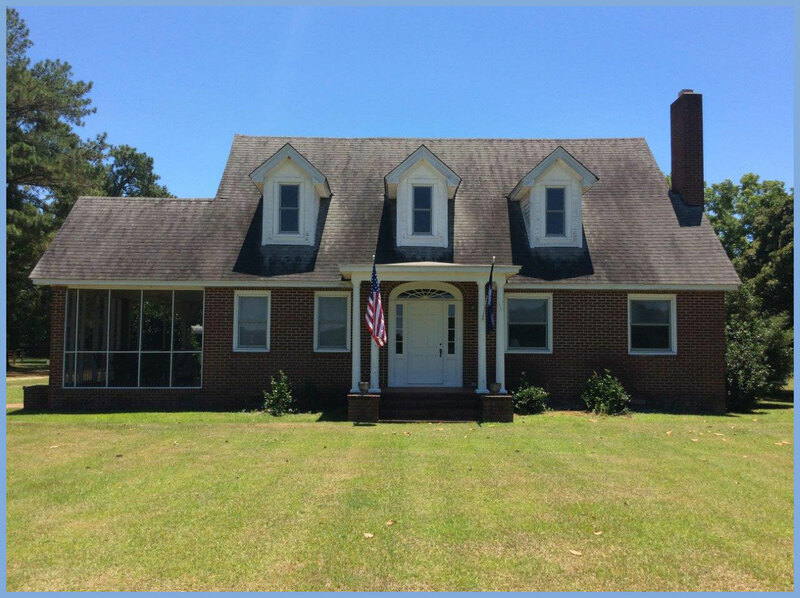 InstaClean Exteriors is South Carolina’s premier residential and commercial exterior cleaner. 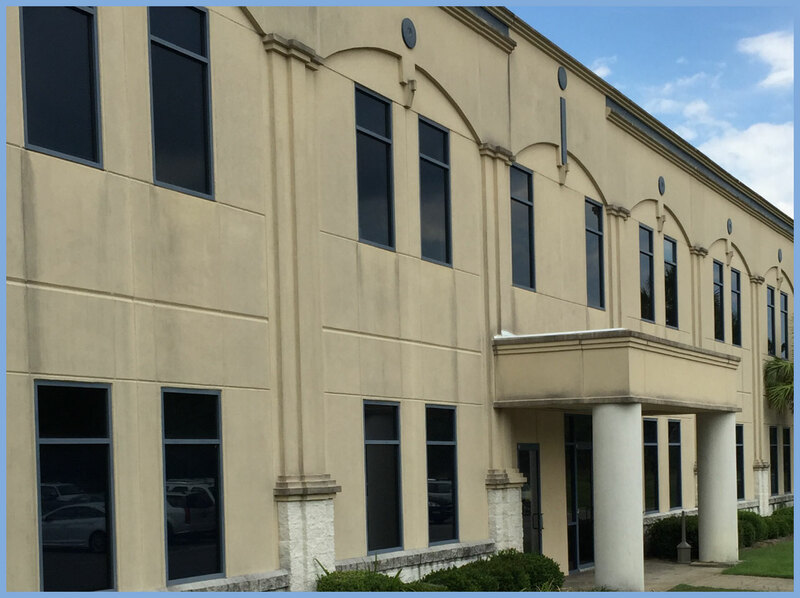 Our NO-PRESSURE and LOW-PRESSURE softwash cleaning systems utilize the latest technology in the industry to restore your home or business to like-new condition. InstaClean also utilizes high-pressure systems for those tough concrete projects. No job is too big. Call InstaClean for a free estimate today! Do you value your home? 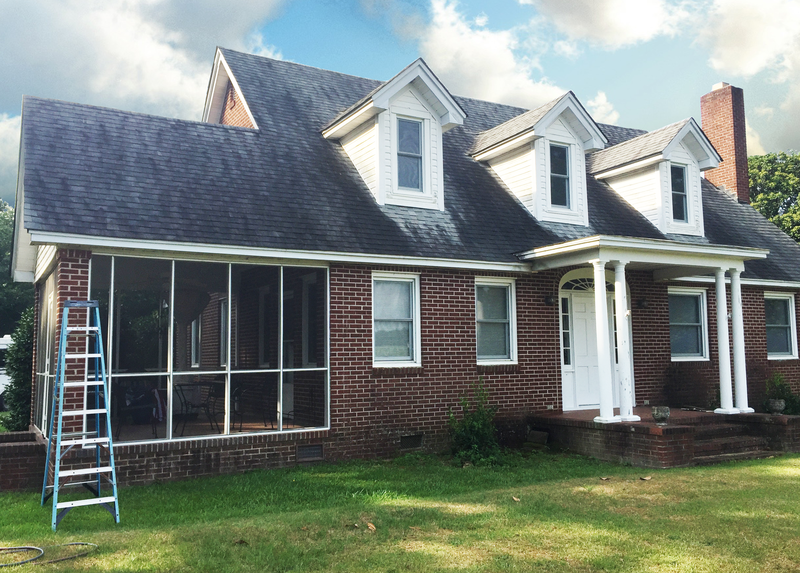 Pressure washers can severely shorten the life of your shingle roof. Let us clean your roof, the right way. 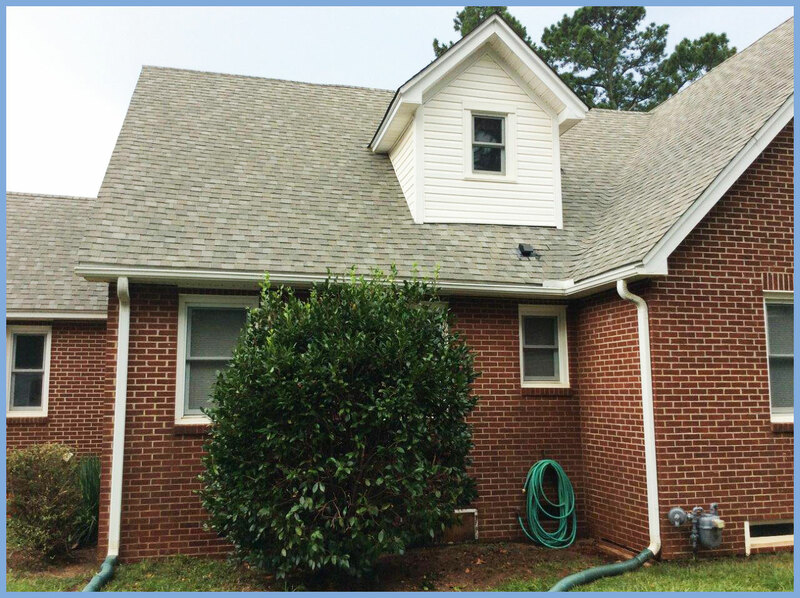 Our no-pressure softwash system and safe, high-quality detergents will make your roof shine without the damaging effects of power washing. Those ugly black stains on your roof are algae growing in your shingles. You should remove the algae for many reasons. First, the algae feed on one of the components of your shingles, which can shorten the life of your roof. Second, shingles are designed, not only to keep your home dry, but also to reflect the suns harmful rays. The algae hinder the reflective properties of your shingles and can result in higher energy costs and more strain on your HVAC unit. Third, cleaning your roof and siding makes your home look years younger and can increase your property value. Did you know that InstaClean offers a service contract to keep your home or business in top shape year-round? We take the hassle and inconvenience out of keeping your home or business clean. Our special mixture of detergents is safe for your home, pets, lawn, shrubs and family. InstaClean puts safety first! Although the solution is powerful, it can be easily diluted with water. We take great care to dilute the runoff solution so that it has no effect on your landscaping, family or pets. 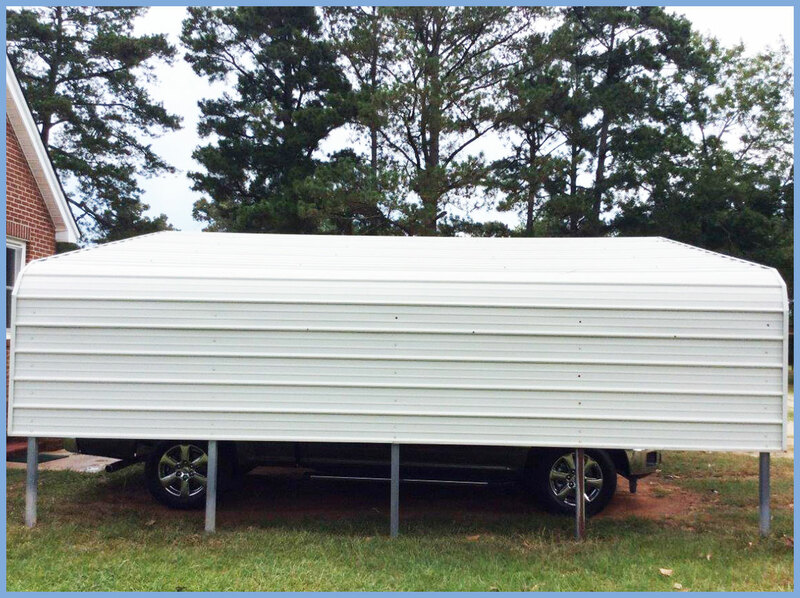 We will leave a written estimate at your door with all the services we provide. Also, you do not have to be home for the cleaning! The black streaks that you see on your roof are actually a type of algae. The algae actually feeds on limestone that many shingle manufacturers include in the manufacturing process. In addition, this type of algae thrives in humid areas like South Carolina. Why should I have the black streaks removed from my roof? You should remove the algae for many reasons. First, the algae feed on one of the components of your shingles, which can shorten the life of your roof. Second, shingles are designed, not only to keep your home dry, but also to reflect the suns harmful rays. The algae hinder the reflective properties of your shingles and can result in higher energy costs and more strain on your HVAC unit. Third, cleaning your roof and siding makes your home look years younger and can increase your property value. 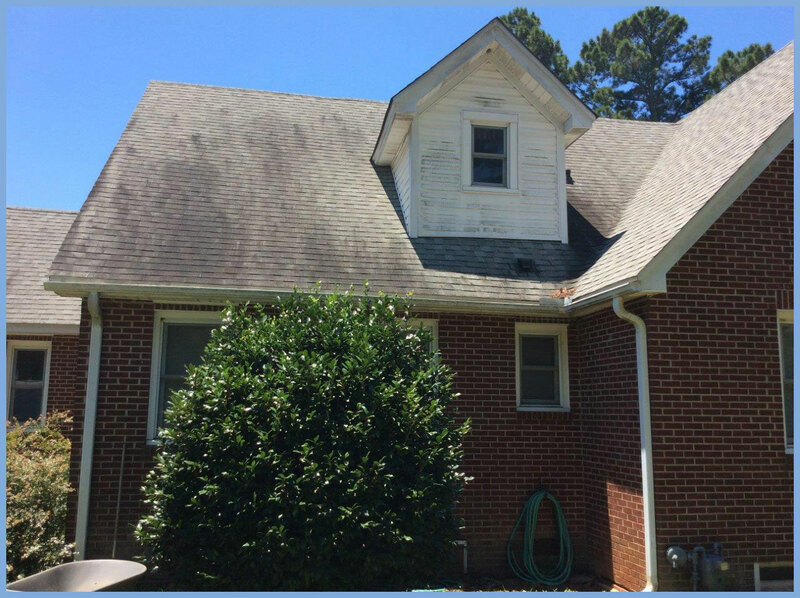 What process will you use to clean my roof without pressure washing? 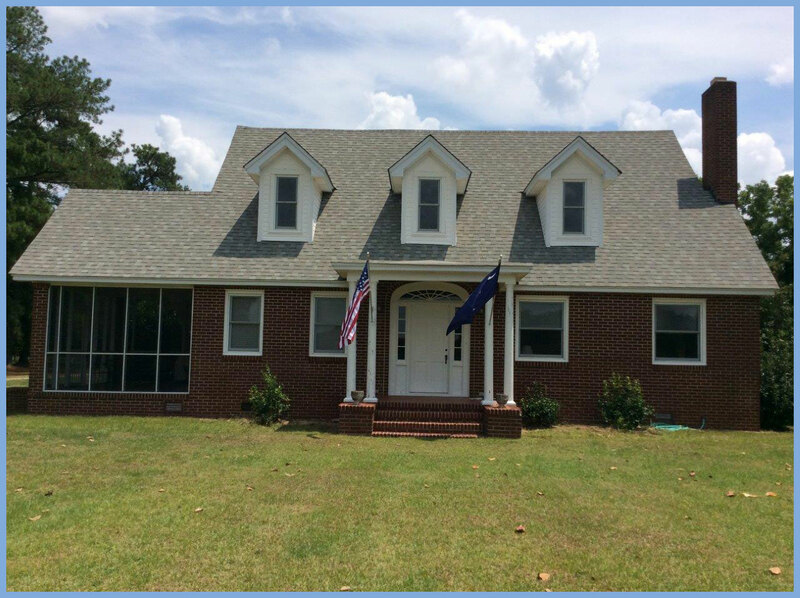 Our process uses a mixture of safe and effective detergents to clean your roof. We avoid pressure, even during rinse. Pressure washers remove some of the asphalt from your shingles and can severely diminish the life of your roof. Our special mixture will remove the algae from your roof while maintaining the integrity of the shingle. Are your detergents safe for my lawn and family? How long will it take to clean my roof? Most residential roofs can be cleaned in one day. Typically the process takes less than four (4) hours. How long will my roof stay algae-free? Your roof should stay free from algae for at least two years before the algae is visible again. Be sure to ask about our maintenance contract to keep your roof, siding, fences, decks, brick, concrete and patio furniture clean all year long. Do you clean partial roofs? It is not recommended to clean certain parts of a roof without cleaning the entire area. Although algae may be more visible on certain areas of your roof, algae are not visible in its early stages. Most likely, if your roof has visible algae on any part of it, the rest of the roof has already become contaminated. Do I have to be home during the estimate and cleaning? No. If you have communicated with us about the services you are interested in, we can leave a written estimate at your door. You do not have to be home for the cleaning, but there are some things you need to consider before we arrive. We will need access to your exterior water, so make sure they are accessible. Make sure all pets are inside or secured. All windows and doors need to be closed and securely fastened. Make sure we can access all sides of your home by unlocking any gates. Move all vehicles into a garage or onto the street. Also, please sign the estimate and leave it, along with a check, near your front door for us to begin cleaning your home. Since all homes are different, it is impossible for us to tell you the cost. However, InstaClean will provide you with a fast, free estimate that will be customized to your home and cleaning needs. Check and cash are preferred, however for your convenience we do accept credit cards. If you choose to pay by credit card, you will need to be home so that you can sign the credit card form. The prompt, efficient and effective service I received from Don Kirkland with InstaClean was nothing short of outstanding! Great communication, a timely and reasonable estimate followed up by an awesome job of cleaning my 60 year old home. The results were much better than expected and I will definitely use InstaClean in the future. 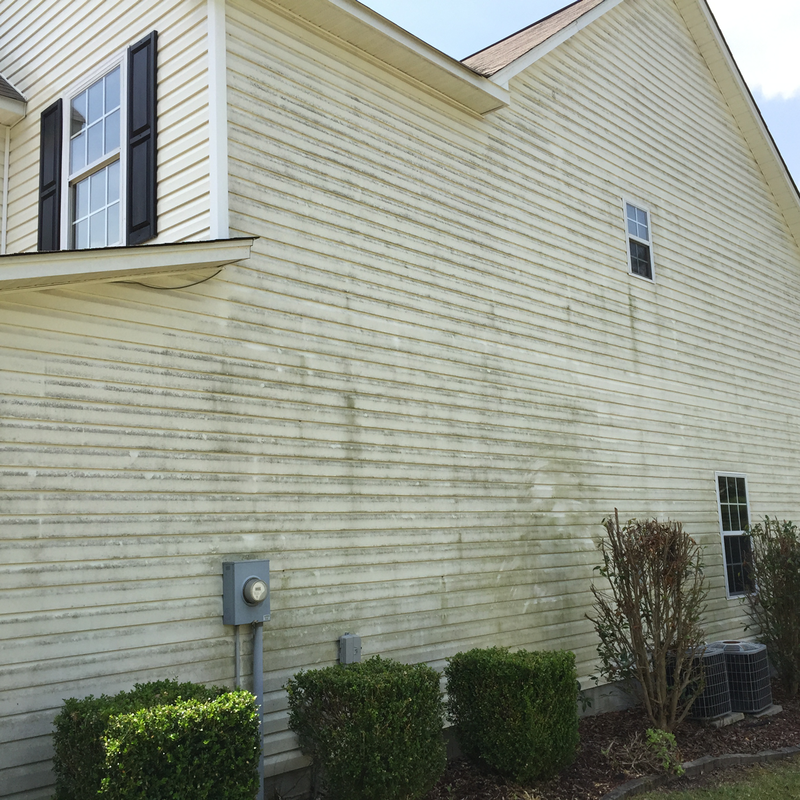 I live in Forest Acres and I recently had InstaClean pressure wash my roof, siding, windows, patio, sidewalk, and driveway . Just wanted to say what a great job Instaclean did! Every bit and more than what I expected. InstaClean Exteriors was founded by Don Kirkland in 2008. As a licensed General Contractor, Don recognized that the lack of residential and commercial maintenance was costing homeowners and businesses thousands of dollars. 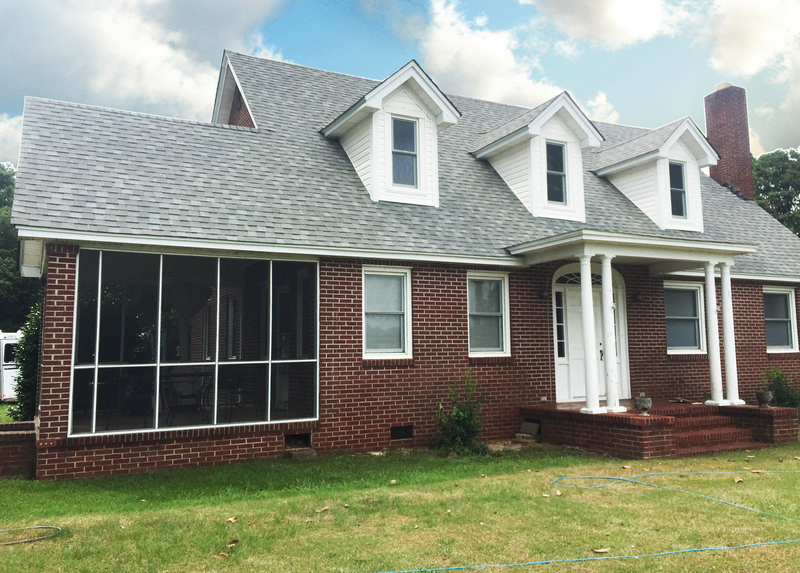 With that in mind, Don developed his softwash system to clean and restore exteriors to their natural, beautiful finish without damaging the building materials. With InstaClean, quality and customer service come first.